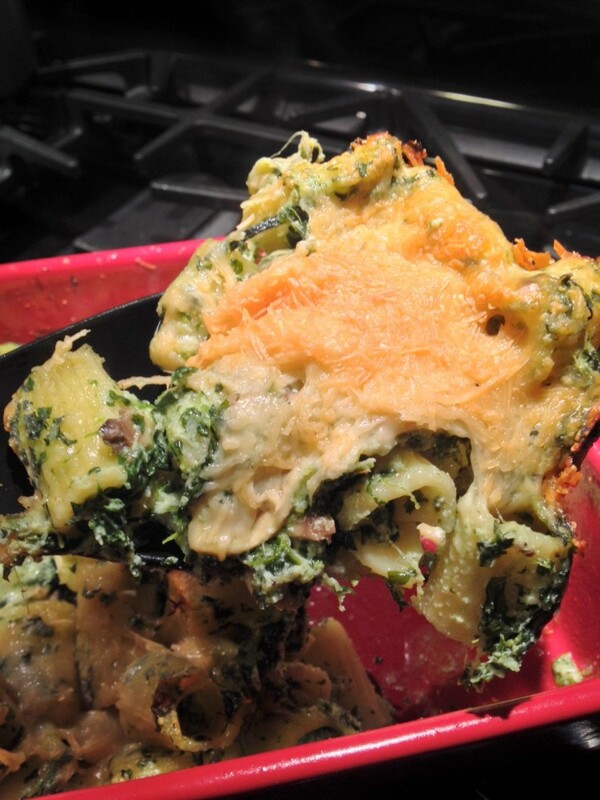 A quicker and just as delicious take on stuffed shells! 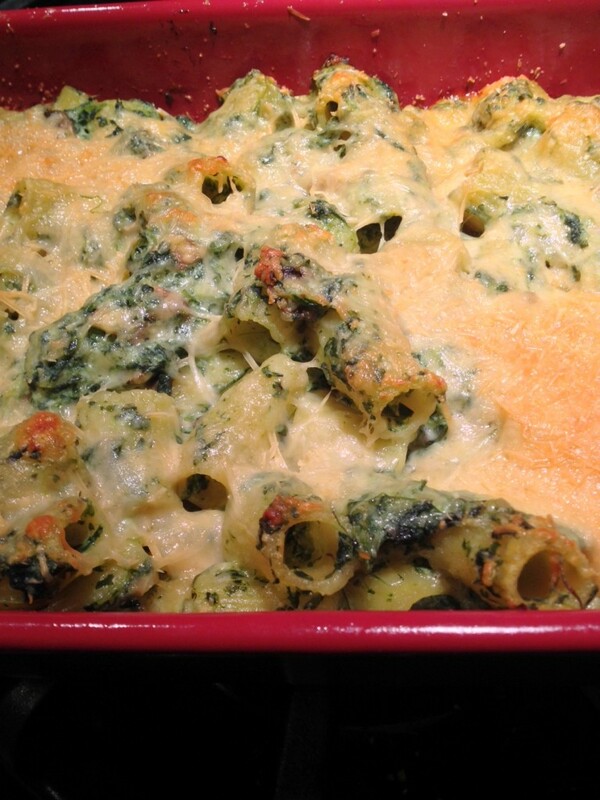 For this recipe, I took the usual stuffed shell filling of ricotta cheese and blended it with spinach, cheese and olive oil, which clung to the rigatoni like pesto. 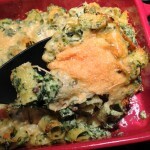 I threw it all in a casserole dish, topped it with more cheese and 20 minutes later I had a golden brown layer protecting the creamy and cheesy pasta underneath. Make a quick salad and if you’re really hungry my Cheesy Garlic French Bread to go along with this pasta and it sounds like an awesome Sunday dinner to me – even if it’s only Wednesday! 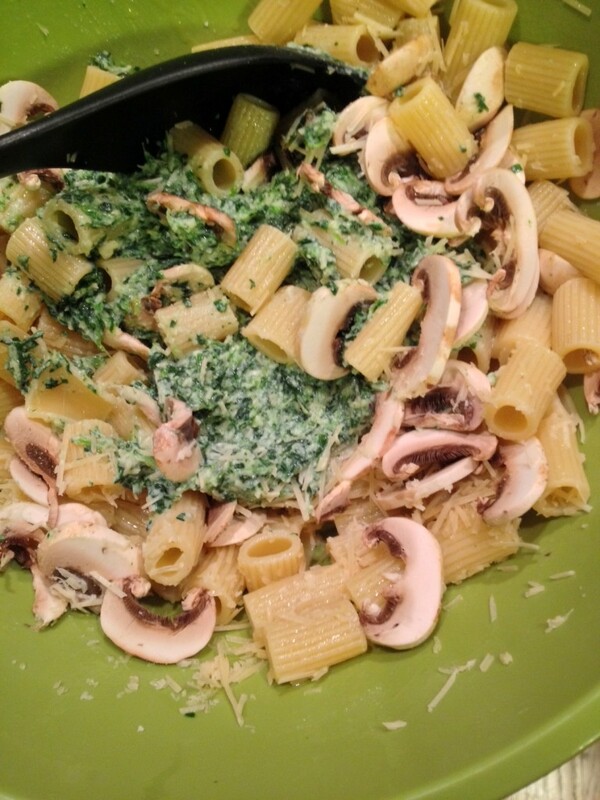 Toss rigatoni with spinach and ricotta mixture and some fresh mushrooms! Cover with Parmesan cheese and olive oil before putting into the oven. 3 tbsp. extra virgin olive oil, separated into 1 tbsp. and 2 tbsp. Cook pasta in boiling, salted water for 10 – 12 minutes until al dente. Drain. Add pasta to a large bowl and toss with 1 tbsp. of the extra virgin olive oil. Set aside. Add spinach, milk, garlic, ricotta cheese, salt, pepper and a 1/2 cup of the Parmesan cheese to a food processor or blender. Blend until well combined and smooth. 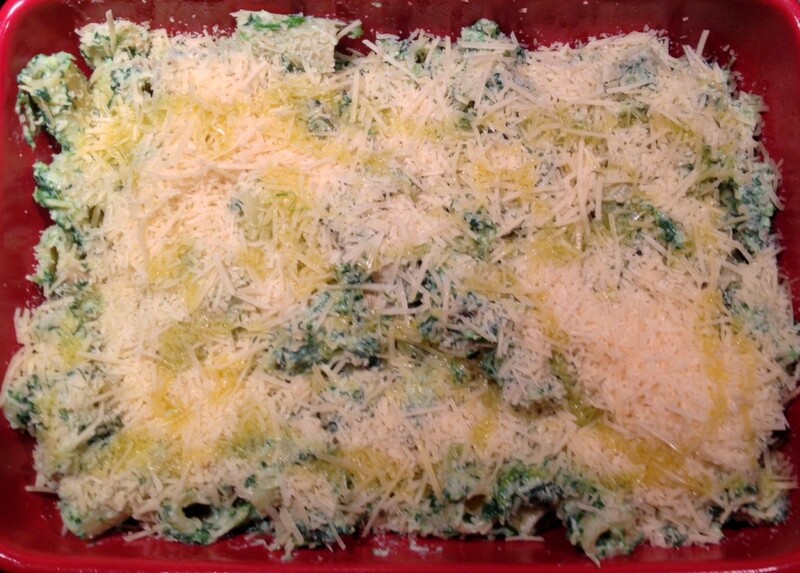 Add spinach and cheese mixture to pasta. Toss well until pasta is evenly coated. Pour pasta into a 13” x 9” casserole pan that has been sprayed with non-stick cooking spray. Evenly top with remaining Parmesan cheese and drizzle remaining olive oil over the top. 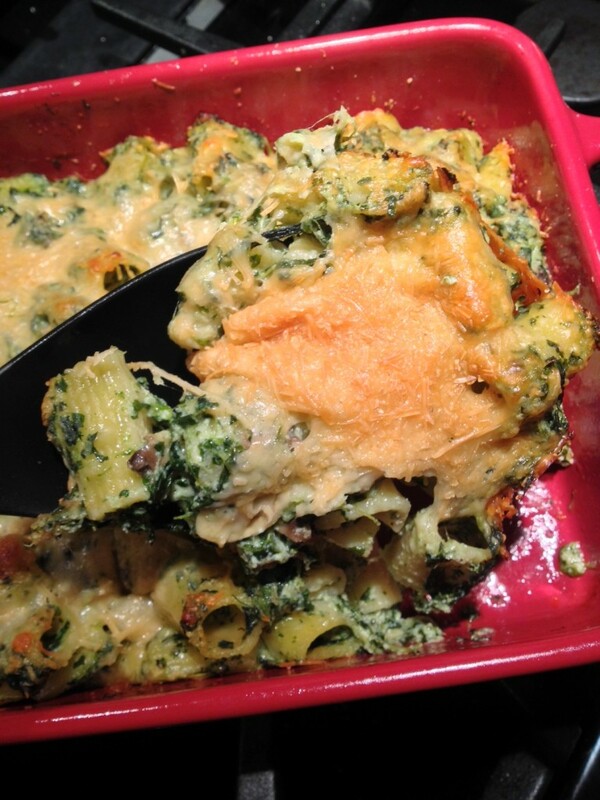 Bake for 20 – 25 minutes until cheese is golden brown and pasta is hot throughout. Serve with warmed marinara sauce on the side.